Following his victory in the Turkish presidential election on Sunday, President Recep Tayyip Erdoğan will need to tone down his rhetoric and work closely with parliament if he wishes to address Turkey’s problems, wrote Kemal Kirişci, a senior fellow at the Center on the United States and Europe. 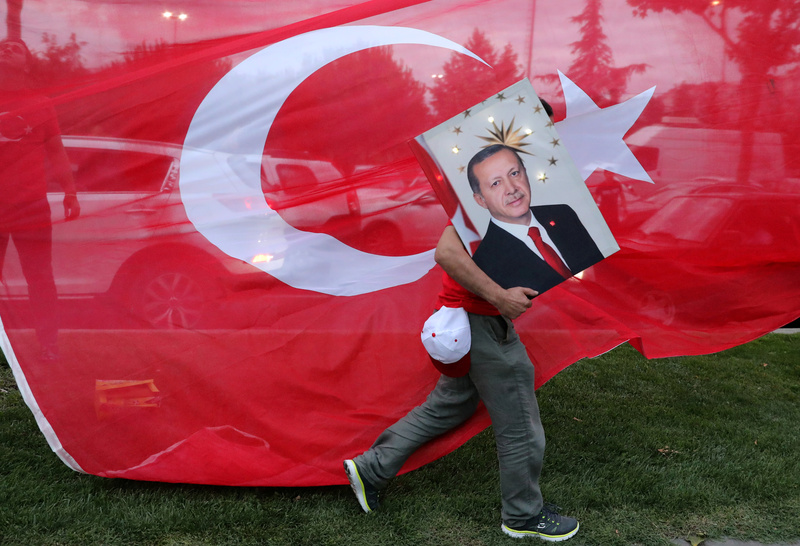 Although Erdoğan’s rhetoric during the election campaign, which blamed economic problems on external factors and was heavily anti-Western in tone, appears to have resonated with voters, it will likely not help solve underlying problems, Kirişci wrote on the website of U.S. think-tank, the Brookings Institution. “Campaign rhetoric will not suffice to bring down inflation or unemployment from their new heights, nor will it fix structural problems such as persistent current account deficits,” Kirişci said. “It is difficult to see how Turkey can manage the geopolitical challenges in its region, emanating largely from the actions of Iran and Russia, without reforming its foreign policy. Furthermore, given the state of the Turkish economy, there is an urgent economic need to cooperate with the EU, Turkey’s largest economic partner and largest source of foreign direct investment,” he said. Rather than rhetoric, Erdoğan should be prepared to compromise and engage in constructive politics, Kirişci suggested. To do this he will need to work with a parliament in which his Justice and Development Party (AKP) does not enjoy an absolute majority and work to, “regain the respect he once enjoyed internationally”. Yesterday’s election in Turkey—which saw a remarkable 87 percent turnout—yielded a victory for strongman Recep Tayyip Erdoğan. This, despite a surprisingly strong opposition challenge that he had not seen before.